Make TR90 Jumpstart part of your day and see the beginnings of success in just 15 days! It is the perfect push to get your body primed by resetting your body’s balance. 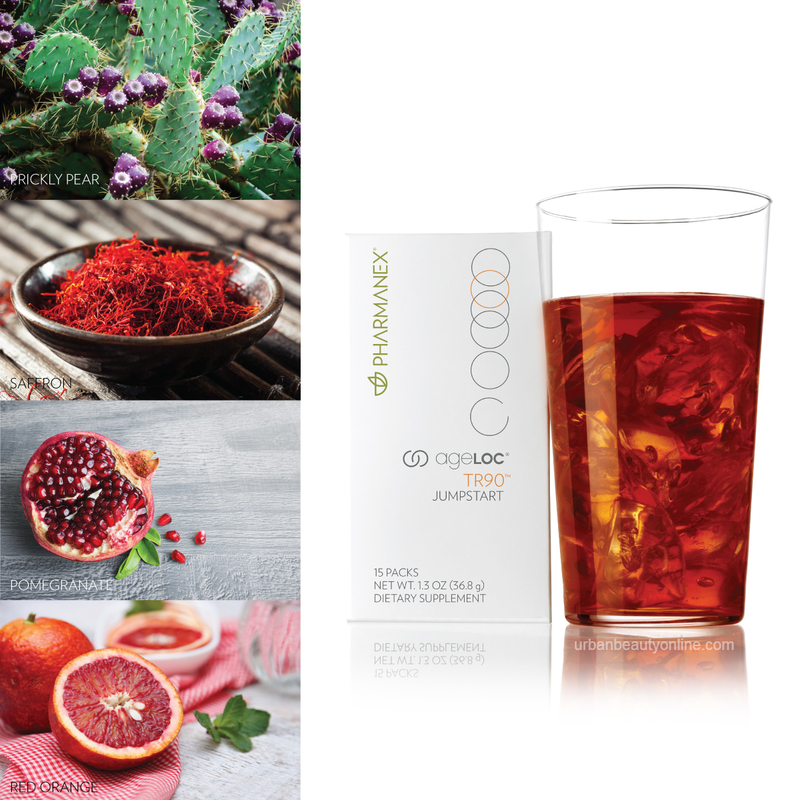 ageLOC TR90 JS is a signature cocktail of exotics ingredients harvested with great care in the Mediterranean and Californian regions. Contains Pomegranate, Saffron, Red Orange and Prickly pear cactus for you to detox, relaxed you and kick starts your day! U.K. Click Here! Enquiry Click Here! This new month, start well to finish strong! ageLOC TR90 Jumpstart is the perfect push to get you primed, by resetting your body’s balance and letting you experience all the motivation that comes along with it! ageLOC TR90 JS is exclusively formulated to give you a healthy start for weight management, and will start seeing success in just 15 days. Taken once daily, you can mix it with water, g3 or any favorite beverage. Drink each morning for the first 15 days of the TR90® programme. TR90 JS can be taken on its own, but it is recommended to be used with the entire TR90 system for best results. Consult your doctor before using this product if you are pregnant, lactating or under medical treatment.